◄ Previous: The Super Bowl and Harvest Right: An All-Star Lineup! Making strawberry powder is easy. Simply freeze dry strawberries and then grind them in a food processor. Strawberry powder retains all the nutrients of real strawberries. Just two tablespoons of strawberry powder can contain over 250% of the daily value of vitamin C. Vitamin C is well known for its ability to boost the immune system. Freeze-dried strawberry powder is also a great source of fiber. Fiber can help regulate blood sugar levels and keep you feeling full longer, which prevents overeating. Strawberries are also a great source for antioxidants that help your body. These protective nutrients may help lower cholesterol levels and reduce the risk of cardiovascular disease. Strawberry powder is also rich in calcium, vitamin K, potassium and manganese, all of which help build and maintain strong bones. Strawberry powder can add a naturally sweet strawberry taste and rich nutrient boost to a variety of foods and drinks. Combine a little strawberry powder into three tablespoons of olive oil, one tablespoon of red wine vinegar, and some honey to make a great strawberry vinaigrette. 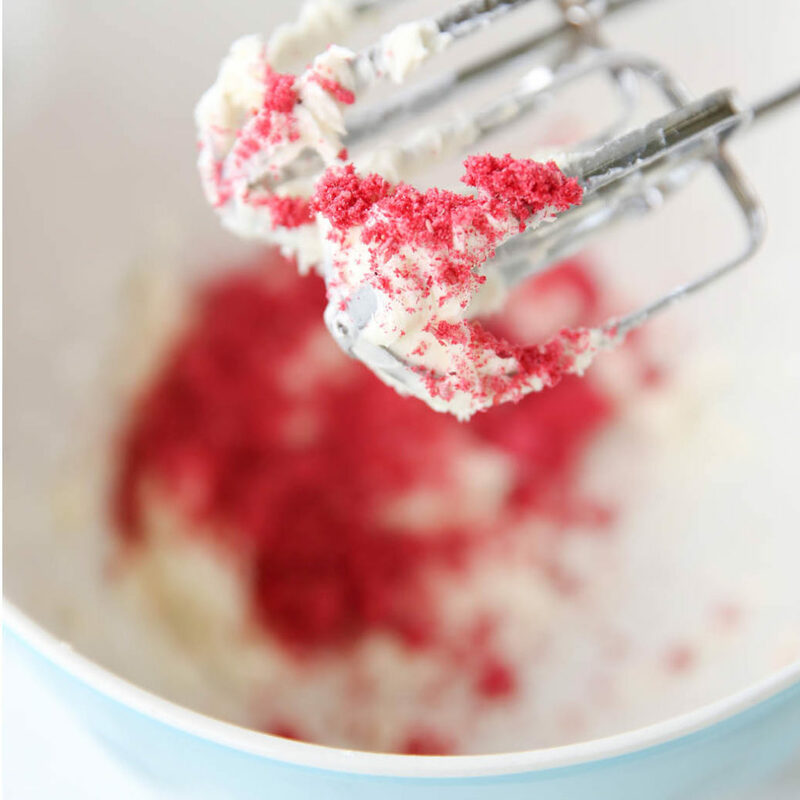 You can also mix strawberry powder into cake and muffin batters for an extra burst of flavor. You can also sprinkle strawberry powder over oatmeal or into plain yogurt. For a refreshing smoothie, mix strawberry powder with other frozen fruits and milk. It can also be added to desserts like pudding, ice cream or parfaits. Or add strawberry powder to a glass of milk to make delicious strawberry milk. Let us know in the comment section your favorite way to use strawberry powder. i have not done strawberry powder yet, but I do have some I can grab and try this with. I make my own beet powder which is much cheaper than the commercial stuff, and I know what is in it!! I have also used avocado and powdered that. So this article gives me ideas for more uses for the powders I make. We add berry powders to our breakfast smoothies. If you don’t like the seeds (Raspberry especially) you can blend them into oblivion in your blender first. Thank you for this wonderful information. I was looking to see if Harvest has a dehydration book just for their machine? If so please let me know.